"Escape: Two If By Sea"
John Michael Hayes hitchhiked from Massachusetts to Los Angeles to find work writing radio scripts. Legend has it that he actually hobbled his way out there on two canes, having suffered rheumatoid arthritis. Legend further has it that he promptly, somewhat mysteriously, landed a gig writing for My Favorite Husband. 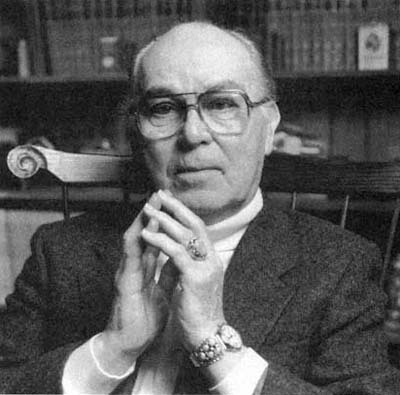 Hayes was a gifted writer of dialogue and of all elements of dramatic writing. He was a screenwriter for several big Alfred Hitchcock films, including Rear Window, The Man Who Knew Too Much, and To Catch a Thief. He once told an interviewer, "much of my dialogue is indirect, with layers of meaning." It's interesting to note that before making his name as a screenwriter, Hayes was a veteran radio writer. 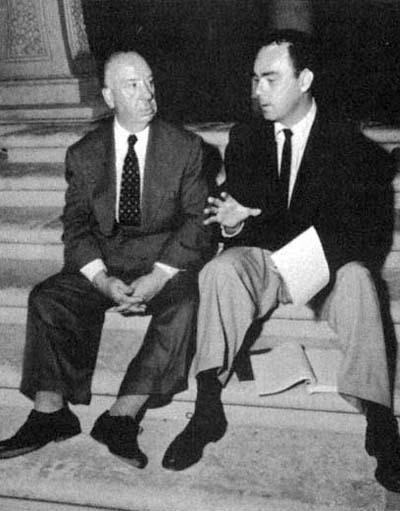 In fact, he was approached by Hitchcock because the film director was a fan of The Adventures of Sam Spade and Suspense, the legendary radio programs for which Hayes wielded his pen. Sam Spade was, of course, the Maltese Falcon character created by Dashiell Hammett. In 1946, the radio show, The Adventures of Sam Spade, began airing on ABC. Top-flight writers Jason James and Bob Tallman originally manned the helm. John Michael Hayes came aboard in 1950 for the NBC iteration of the show. Sam Spade was a lecherous and treacherous cynic, a template for the hard-boiled detective. The producer who brought him to life on the radio was William Spier, who also wrought Suspense, for which he also hired Hayes. Suspense was an acclaimed, now-legendary series drawing the best talent. Actors who brought to life Hayes' taut scripts include Barbara Stanwyck,Alan Reed, William Bendix, and Ava Gardner. Many of Hayes' stories took place in dark offices or streets, involving psychological dilemmas, eerie strangers, and paranormal vexations. Hayes drew conflict between characters with acerbic and tense exchanges. When not collaborating with Alfred Hitchcock, John Michael Hayes wrote chilling, intelligent, and darkly humorous scripts for oldtime radio. This collection includes many episodes of Suspense and Sam Spade, as well as Night Beat, Escape, and Rocky Jordan. Be the first to comment on "John Michael Hayes"